Computational Studies of an Asymmetric rf Plasma using Particle-in-cell Techniques. By Helen Smith. A thesis submitted for the degree of Doctor of Philosophy of the Australian National University. Helicon Waves in High Density Plasmas. By Darryn Schneider. A thesis submitted for the degree of Doctor of Philosophy of the Australian National University. 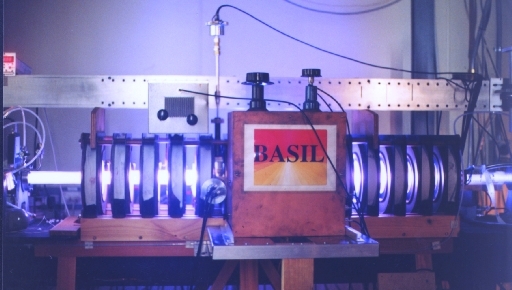 The Basil Helicon Plasma Wave/Ion Laser Experiment. Basil with a neon plasma. 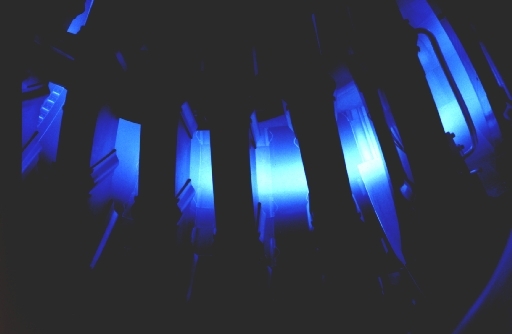 An Argon plasma viewed from the top viewing port in the H-1 fusion experiment. Taken in 1994.